You are looking at a 1969 Ford Mustang Mach 1 428 Super Cobra Jet with Drag Pack. According to the Marti Report, this is one of only fifteen cars optioned this way from the factory. The car is just as it was the day it left the factory production, right down to the Goodyear Polyglas tires. Over the years, we have restored, serviced, and sold thousands of cars and we can honestly say very few cars have been restored as well as this Mach 1. Everything about this car is just right. It is not over restored, nor under restored. The car shows no signs of ever having any accident damage or rust. The front fenders and hood are correct and date-coded to the car. The body is as good as it gets, with perfect gaps, and the paint is beyond excellent. 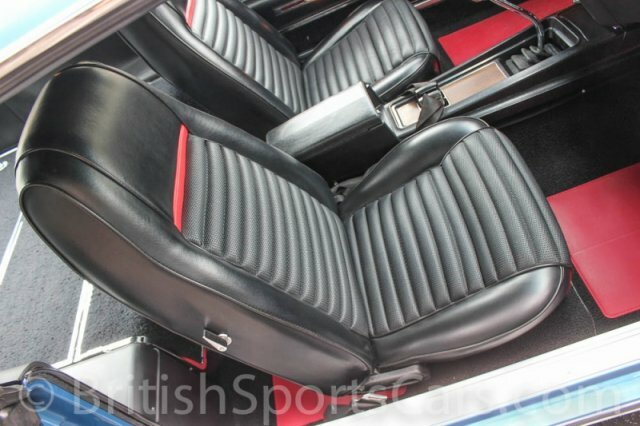 The upholstery is also restored to perfection and very comfortable. This car is also fitted with the rare, optional tilt-away steering wheel. It starts, runs, and drives like a brand-new 1969 Mustang. This is truly a very special car that could not be duplicated for anywhere near what we're asking. This immaculate Mustang was just shown at the San Luis Obipso Concours, where it received 100 points and took home Best Mustang and Best in Class. We've included a photo of the Marti Report as well as the build sheet to explain exactly how this car is optioned. Please feel free to contact us with any questions.